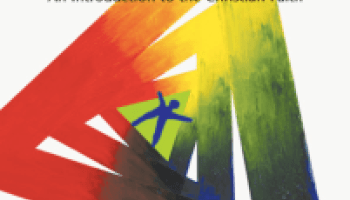 Guidance on our relationships surmised from the interaction and intimacy of the Persons of the Triune God within Themself, from the economic to the immanent, and how our thus-guided relationships help us understand God. A providential conversation with a Trinitarian theologian briefly explores who we are. I love hanging around these exotic beasts, as they have thought long and hard about the meaning of the great Three in One. As such, they stand as caretakers of one of the keys to the universe. 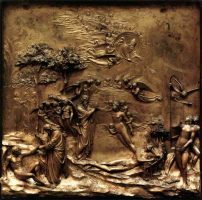 If gender comes from being made in God’s image, and we as men and women in relationship are an analogy of the hidden relations of Trinity of Persons in the One God, then why are there only two genders? The simple verses of Genesis 2, explaining how women were made in the image of God, proclaim vital truths about who we are. Do you realize what a gift you are in being made as a woman or a man? Want to understand the Trinity of God more deeply and clearly? British Trinitarian Theologian, Michael Reeves is that most wonderful of all things, a theologian with a sense of humor. His book brings a cheerful clarity and an appreciation of how God’s internal relationships can inform and inspire our own. You knew it had to come eventually, right? Some gender dysphoric teen would eventually stop and ask, “Is altering my body, like these doctors are pressing me to do, really going to help me?” Or his parent will ask, “Is cutting parts off of him really going to add to him?” These questions you will increasingly hear, and not just from religious folk who tend to believe Genesis 1. What is the terrible sin of “blasphemy against the Holy Spirit,” and why did Jesus say that it won’t be forgiven? This is what Bible-readers always want to know upon reading Matthew 12. And they spend hours talking about it. Some even wonder if they have committed this sin inadvertently and are therefore beyond Divine favor. The key to what is really going on is seeing that this is about the Trinitarian relationships. 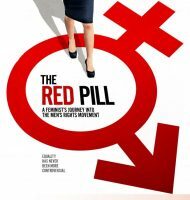 Don’t let Cassie Jaye’s obscure choice of title, The Red Pill, keep you from diving down her rabbit hole of a documentary, a disturbing, compelling look at the Men’s Rights Movement. The break-up of the Beatles broke the heart of a generation. 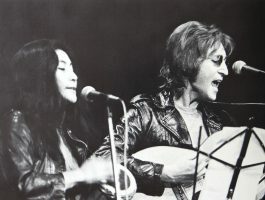 A lot of the blame at the time fell upon Yoko Ono. 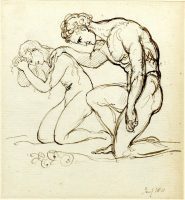 Why does the idea of a girl coming in and disturbing the male company have such powerful resonance with us?